AIRCOM International, the market-leading network planning and optimisation consultancy, today launched ENTERPRISE 6.1, the latest version of its integrated network engineering tool suite. New to ENTERPRISE 6.1 are a number of features and enhancements within each network monitoring tool, which offer users improved stability and superior data quality. ENTERPRISE 6.1 has been engineered to evolve with the increased use of Internet applications, so that any internet-based content - such as an online 3D terrain map of cell sites - can now be more easily integrated into network performance statistics. The ENTERPRISE radio planning tool, ASSET, the world's number one* tool of its kind now features full support for the recently announced WiMAX Forum Wave 2 standards. This will no doubt further confirm ASSET as the tool of choice for the planning of both fixed and mobile WiMAX networks. Over the past 12 months, AIRCOM has trebled its WiMAX business, and now has over 36 WiMAX projects underway around the world. 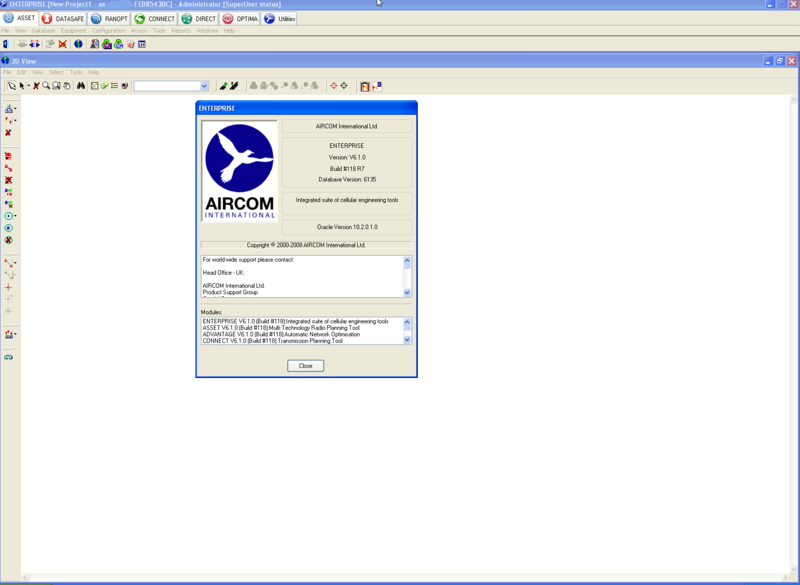 AIRCOM has also enhanced its software licensing options, ensuring customers have greater flexibility in how ENTERPRISE tools can be deployed across organisations, while the greater automation of network processes offered across many of the individual tools will save operators valuable OPEX in resource requirements. "As part of our continued commitment to supporting the latest technology developments, we have made a number of important changes to the way in which ENTERPRISE modules adapt to the changing telecommunications landscape," says Margaret Rice-Jones, CEO at AIRCOM International. "As well as the comprehensive support of WiMAX standards, our tools are now primed to enable the planning of LTE networks, as part of a longer-term programme to ensure we are best placed to help our customers to rapidly adopt ever-changing technologies, and seamlessly manage converging fixed and mobile network infrastructures." More than half of the worlds' network operators rely on ENTERPRISE tools for radio transmission and planning, optimisation, performance and parameter configuration management. ENTERPRISE 6.1 will enable operators to study the effects of next-generation technology requirements, allowing them to understand both technological and business implications of introducing these, by the rapid execution of 'what if' scenarios. "After listening to customer feedback, it was clear that we needed to make improvements to the ENTERPRISE suite in order to keep up with consumer thirst for data-hungry services," continued Rice-Jones. "As new network technologies such as LTE and WiMAX have evolved, so has AIRCOM with the introduction of ENTERPRISE 6.1, and I have no doubt it will continue to be the tool suite of choice for operators across the world."